Beverly Hills (its proper full name, often shortened to Beverly) and Morgan Park are the Castor and Pollux of the South Side. Eternally joined as “The Village in the City,” they have earned a reputation as a place of good schools, gracious homes, and comfortable middle-class living—a bastion for city workers. An ancient glacial ridge runs along the length of the appropriately named Longwood Drive, topped by magnificent homes. Morgan Park, named after early estate holder Englishman Thomas Morgan, was a village in its own right until its annexation to the city in 1914. Beverly Hills, named not after the Los Angeles neighborhood but the town of Beverly in Massachusetts, became part of Chicago in 1890. Both communities owe their growth to the Rock Island Railroad, and the branch line that is today part of Metra’s Rock Island District. Historic train stations, part of a Chicago landmark district, anchor the small business districts that developed around them. The most notable event is the annual South Side Irish Parade, which grew from a small community event to a celebration that draws crowds from around Chicago. While the Irish presence in the neighborhood is predominant, the African American population has grown since Black families started moving into the area around the 1960s. Local churches and organizations like the Beverly Area Planning Association have worked hard to combat challenges to integration and make the area welcoming to people of all races and faiths. More than a century has passed since the Blue Island Land and Building Company platted the streets and envisioned a sylvan community removed from the bustle of the city. The city has caught up with us, but we still stubbornly cling to the belief that we are unique among Chicago’s neighborhoods. David Daruszka is a writer, photographer, and former president of the Ridge Historical Society. He has lived in Morgan Park for over twenty years. The barn and silo that graces the south entrance to County Fair leads to the abundant produce section of this local grocer. In a world of corporate supermarkets, County Fair stands out as a survivor of the once prolific neighborhood grocer. The store prides itself in personalized customer service, and has a top-notch butcher shop and deli. Founder Bill Baffes bought his first store with his brother-in-law on 111th Street, eventually building a new store at 108th and Western Avenue. The store was expanded to its present configuration and is now under the stewardship of Bill’s son Tom and son-in-law Mike Winkler. DiCola’s Seafood started out as DiCola Centrella, just a regular grocery store established by Anthony DiCola Sr. in 1933. The store began its transition to seafood under his son, Anthony DiCola Jr., after World War II. In 1985, Anthony’s son Robert completed the transformation after taking over. Open Outcry is the latest addition to the string of taverns that runs along the west side of Western Avenue (a response to the longstanding dry status of the neighborhood east of that street). Owner John Brand, a former futures trader and home brewer, took over the space formerly occupied by O’Brien’s Pub. In it he has created a microbrewery that serves a mean oven-fired pizza created by Chef Cesar Lopez. The Neapolitan-style pies feature some unusual twists, like gouda cheese sauce, and even a vegan pizza. Food orders are placed at the window of a faux food truck; to keep up the motor theme, the eating area features large garage doors that can be opened in good weather. 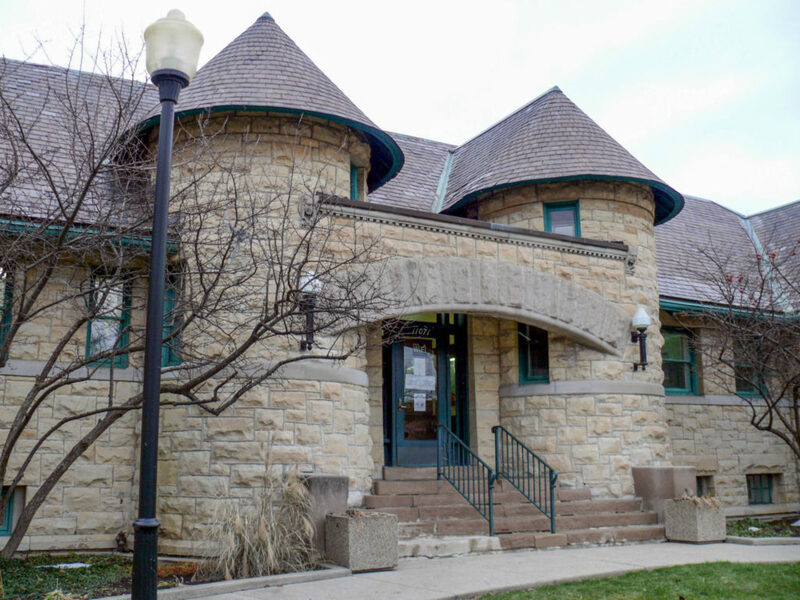 The Beverly Area Arts Alliance, which hosts the Walk, also organizes pop-up exhibitions in local businesses and vacant storefronts, the Uprising Craft Fair, and a popular quarterly reading series called “The Frunchroom” (The Frunchroom was also featured in the 2016 Best of the South Side issue). 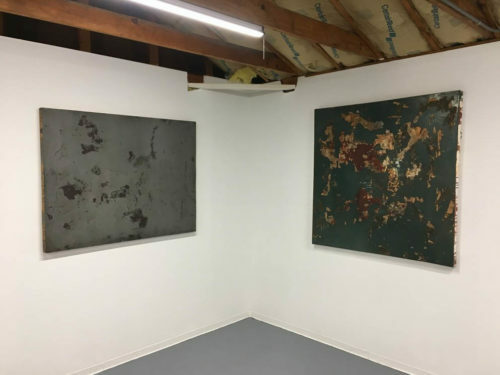 Boundary, a new art exhibition space, opened in June in the garage of a bungalow in Morgan Park. The co-directors are Susannah Papish, who resides there, and Larry Lee. Papish and Lee are not new to Chicago’s art scene. Lee is associate director of undergraduate admissions for SAIC, and a lecturer in art history, theory, and criticism. Papish, an independent contractor for SAIC, worked as the photo imaging coordinator for the Art Institute and has taught at a number of colleges. Boundary, 2334 W. 111th Pl. Current exhibition, “ANTI/body,” through Saturday, October 28. (773) 316-0562 or email boundarychicago@gmail.com. boundarychicago.space. A version of this piece was previously published in The Villager, the newspaper of the Beverly Area Planning Association. Correction (1/13/2018): A previous version of this story included a photo of the Boundary art space credited to Carol Flynn. In fact, the photo should have been credited to Boundary. Thank you Dave, Carol, Grace and SouthSide Weekly!